All new ways to do all kinds of things. The Apple iWatch is a wearable smartwatch that allows users to accomplish a variety of tasks, including making phone calls, sending text messages and reading email. To function, the Apple iWatch must be connected to an iPhone 5 or later. The Apple iWatch iPhone app allows users to change settings, rearrange apps, choose notifications and download new apps from their iPhone. The Apple Watch interface was designed specifically for the wrist, and navigation relies on swiping and tapping. Its Digital Crown is a physical navigation dial located on the side of the watch that magnifies content, scrolls and inputs data. 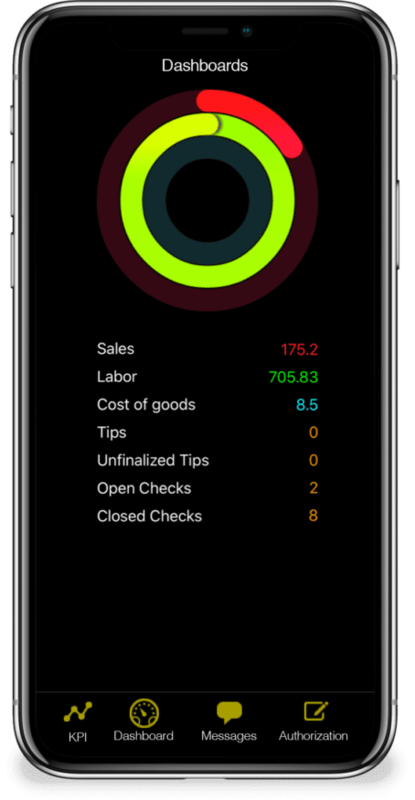 Aireus has created and built a specific app for the Apple iWatch with features that include dashboard reports, alerts and notifications as well manager approval and messaging features that are delivered real-time. 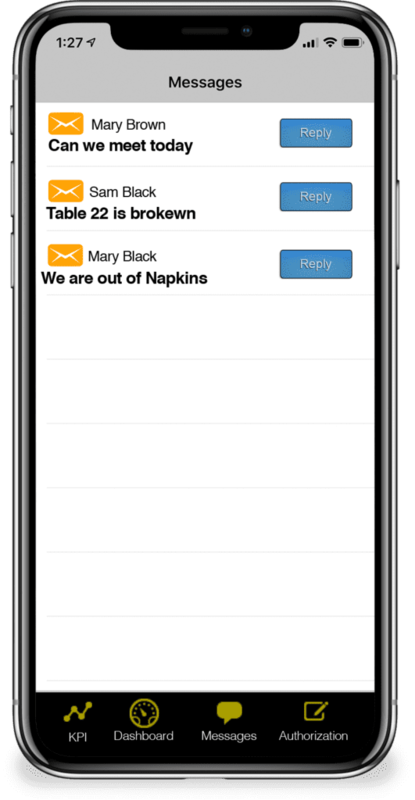 Staff can email you real-time emails and messages so you can stay connected all the time. Looking for operational information on the spot, simply jump to your dashboards for a real-time pulse of your business. 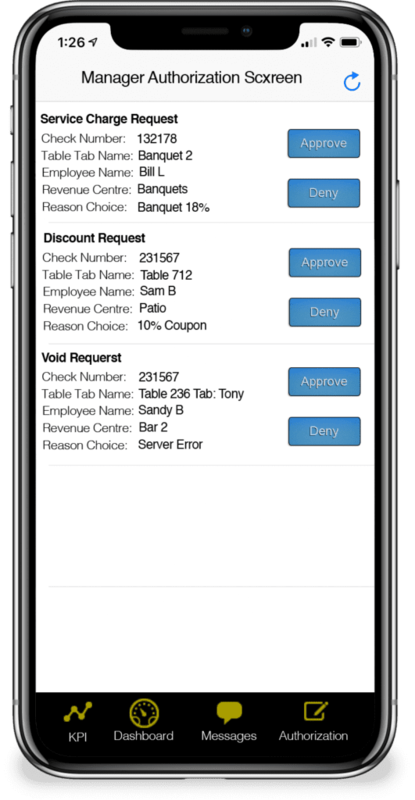 With Aireus authorizations you can truly be mobile and approve voids, adjustments, discounts, comps and much more. All from your device anytime anyplace anywhere. With Aireus mobile manager you can view critical operational metrics on your device simply by using your iWatch or iPhone anywhere anytime. notifications and keeping touch with your operation. Monitor KPIs. 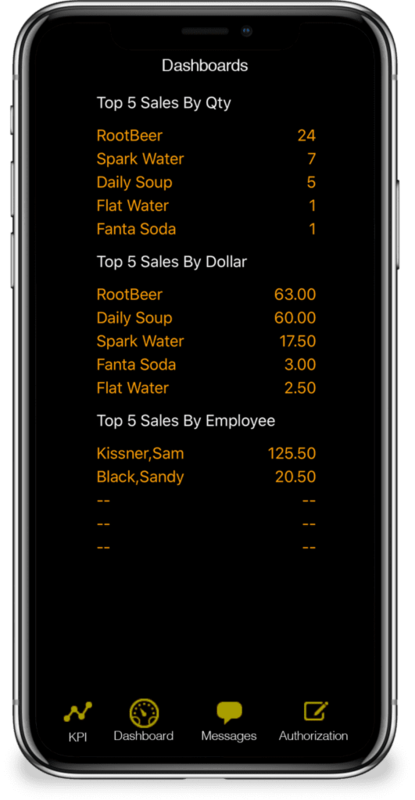 Track sales metrics, food and labor costs, guest counts and more.